My current project, bound to last months, is digitization of old family artifacts. First up is some 150-year-old photos. This one looks like a plain mirror if you look at it casually, but the equipment in my previous post brings out some amazing detail considering that the original is less than 2″ square (and is at least 150 years old). 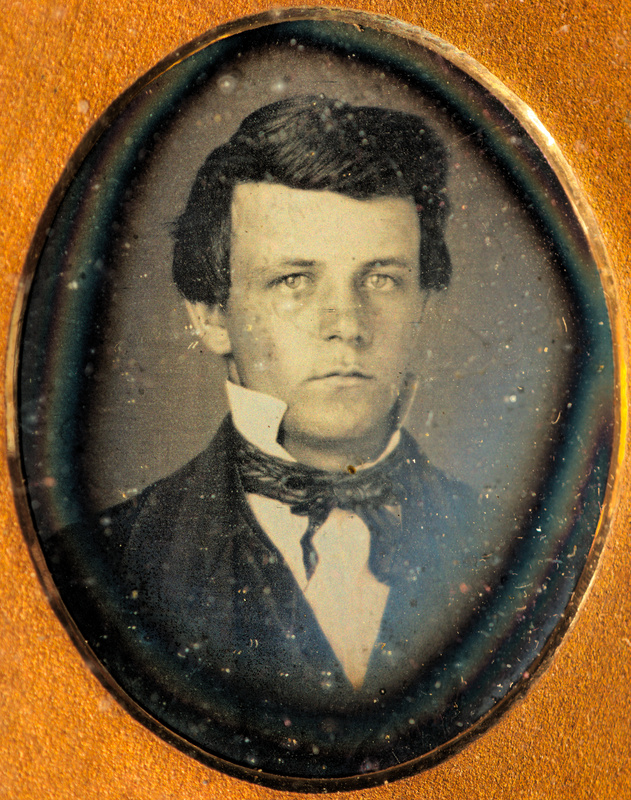 Sadly, we’re not sure who this person was, but probably an ancestor or at least a cousin.